High profile. US Route 6 exposure. Traffic light at intersection. All improvements paid for. All city services on or near property. Large traffic counts. Property zoning to be commercial. 1.25 acre net usable. All Rte 6 improvements installed. No recapture due. 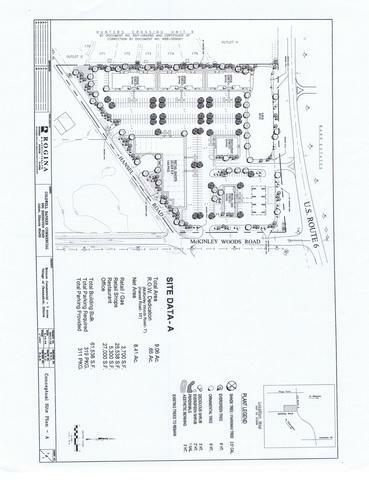 See separate listing for 8.41 acre hard signed corner.